Home > Ask Our Experts > Should We Copyright Our UFO Images? We filmed some UFO activities over England last night, the images are quite clear and very interesting. We managed to get 12 footages in total. What type of buyer could we sell them to? Should we copyright them first? If you have images you want to sell, then it’s always a good idea to copyright them first, so that you retain full control over them, meaning that if they’re reproduced anywhere, you receive full credit and payment. In fact, the very first thing you need to do is copyright them. The problem is that there’s no central agency with which you can do that. So, in effect, you do it yourself, which is both good and bad. It’s easy and cheap, but it’s not ironclad. 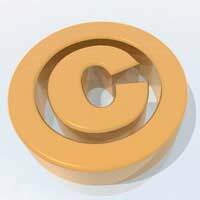 Under the Berne Convention, actually, copyright is automatic after you create a work, so, without doing anything, your pictures are already under copyright. However, before sending your pictures anywhere, use a watermark on the prints, as well as making sure you write Copyright 2009 and your name on the back. Of course, although not perfect, but it does give you some legal standing in the event that someone else tries to steal your images. Usually, however, publishers are very good about respecting copyright. One thing you should not do is put your pictures up on the Internet. Even though you might have copyright, putting pictures online is like giving them freedom to roam – and people will take them and use them as their own. As to what type of buyer you should seek, that’s far more complex. You might well try a photo agency, or, if you have something truly sensational, a public relations agency, or try dealing directly with the tabloids, if you feel up to it. However, it’s all very well having something to sell, but it needs to be something that people want to buy. Were there many UFO reports when you took your pictures? A tie-in would really help sell the images. Without any reports to spark interest, the chances of you making a sale to any mass media is quite low, and you need to be aware of that. However much interest there is in whatever’s out there, there needs to be a catalyst to spark truly wide interest. It’s possible that a specialist magazine will buy UFO pictures, but there’d be very little, if any, money involved. I never really believed in ufo or aliens. I was really not going to show the pictures because people might think I'm crazy. I'm thinking of showing 2 pictures I have., I'm not really sure who I should show them to.I am sure anyone that sees the pictures are real.Still trying to explain it. The pictures were taken in August 2017. In southeast ga.